We had a great weekend here in Charlotte. Friday night, Ian and I had some delicious Indian food from Trader Joe's. Their garlic naan is absolutely delish. We have two pieces left over and I can't wait to make pizza on them soon. 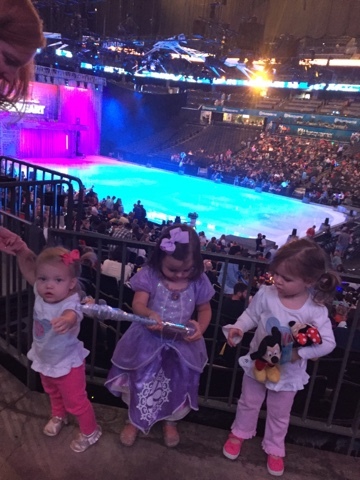 Disney on Ice was absolutely adorable. 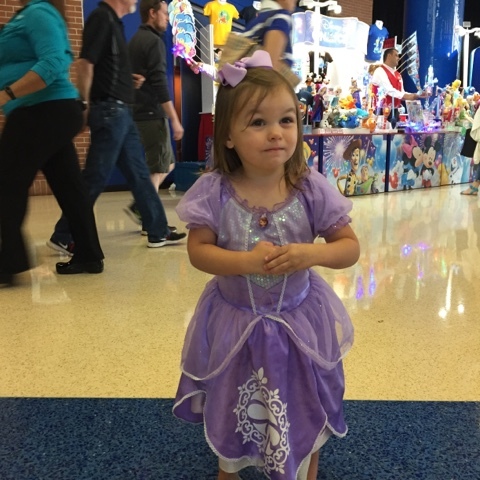 Camille got to wear her princess dress and she was positively enthralled. Our friends were also there just two sections over, so we got to see them at intermission. Charlotte was an absolute trooper and loved being in the Ergo. She slept for the first half of the performance and bounced on my lap the second half. 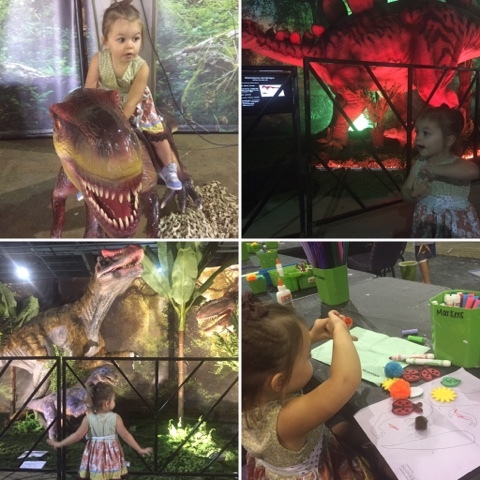 On Sunday, Ian took Camille to Jurassic Quest while I stayed at home with Charlotte. He said she was a little nervous at first but then was enjoying every second. Afterwards, they made a stop at what was easily the highlight of her busy weekend ... Home Depot. Girlfriend absolutely loves a good HD trip. The Panthers lost to the Falcons (boo) but last night we did get to celebrate a friend's birthday with cake and we enjoyed wings that Ian grilled perfectly. So, a great weekend had by all! Please tell me you've taken her to the monthly workshop at HD! It's free and we all look forward to it every month. This past Saturday we built firetrucks (fire safety month)!! They get a pin for every project they complete to put on their HD apron. So fun. 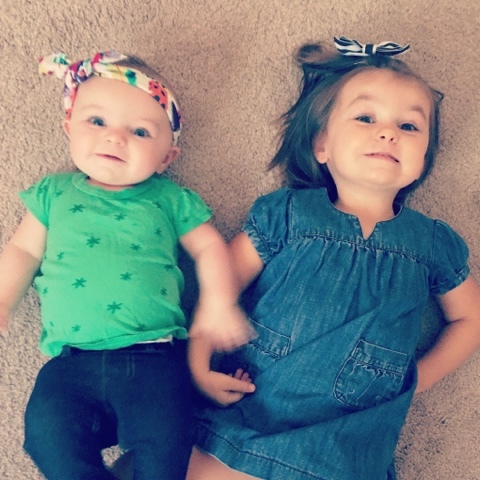 Your daughters are absolutely adorable. 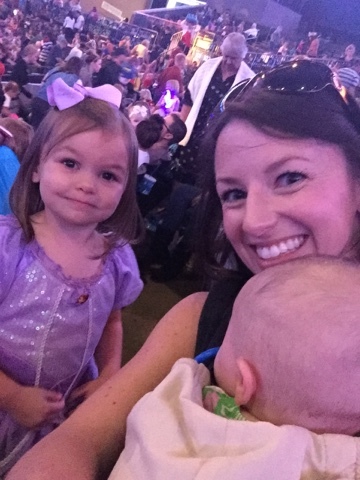 I love seeing all of the fun activities you do with Camille (and Charlotte)! Haha, there is just something about Home Depot, isn't there? 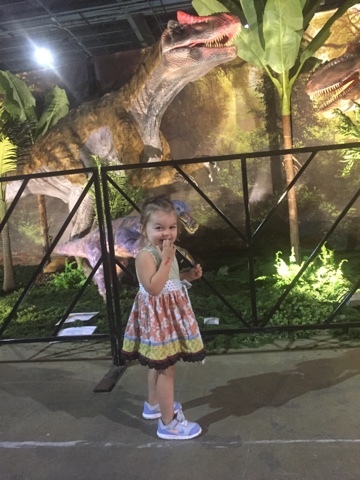 Our daughter loves it too! Camille looks just darling, and both of those events look so neat! Fun! I love Camille in her princess dress. I'm sure both events are just perfect for her age. I think Camille had a pretty great weekend! 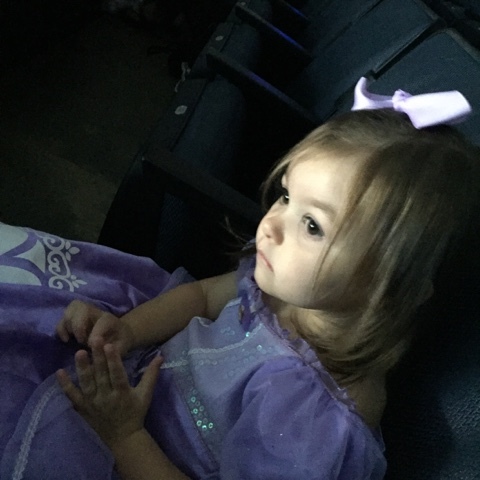 I want to go to Disney on Ice too! It's been WAY too long! Looks like fun. How do you find all of these things to do with your girls?